Opening hours: Daily 11am – 8pm. Decorated by Care Corner – Teck Ghee Youth Centre with Kamal Dollah. 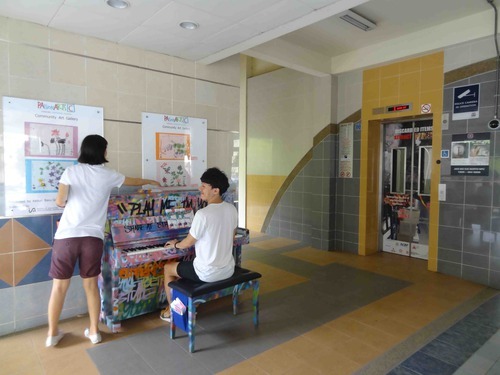 Play Me I'm Yours is a global street piano movement that has come to Singapore. 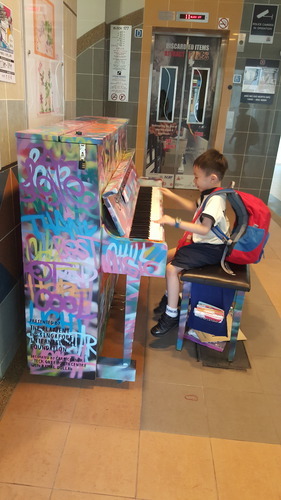 25 pianos have been donated, decorated and installed in parks, housing estates and public spaces around the island for ALL to play and enjoy. 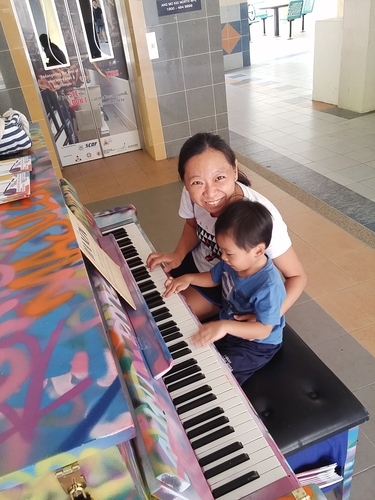 So we had to check it out and The Music Circle's Programme Manager Alyssa Koay played a piece on a few pianos. Hi! I like to call myself a happy boy because i like to spread happiness to people by playing cheerful music. The Littlest One had quite some fun playing on the Colourful Palatino Piano! 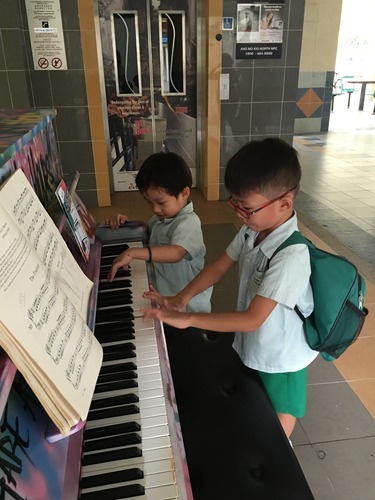 This piano has just been installed and is now at 177 Ang Mo Kio Ave 4 for everyone to play! Kamal Arts Limited's session with Care Corner- Teck Ghee Youth Centre, bringing them through an introduction to graffitti techniques! What a great and fun way to impart and pass on artistic knowledge. Love the end product full of positive wishes and words for the community. 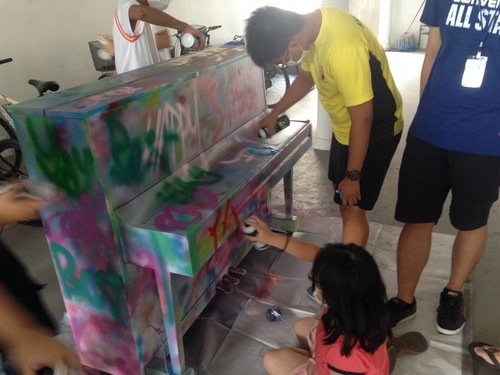 Log on to http://streetpianos.sg/2016 to see where their piano will be! Play Me I'm Yours is all about pianos for good! 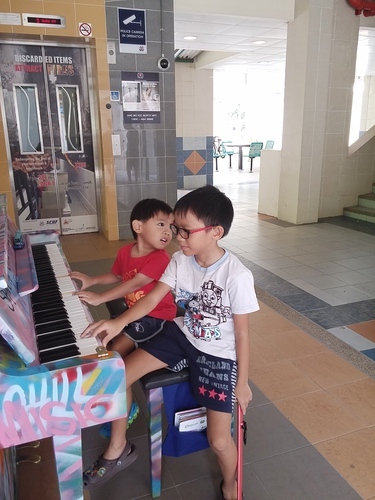 These pianos donated by the community will serve the community and go on to serve the Social Organisations involved in more ways than one! At the end of project these pianos will be donated back to them, or used to raised funds to further serve their beneficiaries and beyond.